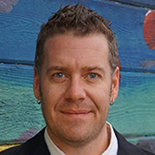 Justin Gifford is an Associate Professor of English at the University of Nevada, Reno. His research and teaching focuses on African American cultural history and American literature. He is the author of two books, Pimping Fictions: African American Crime Literature and the Untold Story of Black Publishing and Street Poison: The Biography of Iceberg Slim. He is currently researching and writing a biography of Eldridge Cleaver. Eleanor Randolph, a former member of The New York Times editorial board, is working on a biography of Michael Bloomberg, billionaire, politician and philanthropist. Ms. Randolph, a graduate of Emory University in Atlanta, has worked as a national correspondent for The Washington Post, covering the media, Moscow and New York City. She wrote a book on Russian life, “Waking the Tempests: Ordinary Life in the New Russia” published by Simon & Schuster in 1996. As a national correspondent for the Chicago Tribune and the Los Angeles Times, she covered presidents and presidential campaigns,the environment and New York City. In recognition of her editorials over 18 years at The Times, she was named one of the 50 most influential people over 50 in New York in 2016 by City & State Magazine. In a 30-year career at The New York Times, Bruce Weber was an editor at the Sunday magazine, a metro reporter, a theater columnist and critic, the paper’s first national cultural correspondent and, for the final eight years of his tenure, an obituary writer. A former fiction editor at Esquire, he was the editor of Look Who’s Talking (1986), an anthology of 20th-century American short stories. He is the author of Savion! My Life in Tap(with the dancer Savion Glover, 2000) As They See ‘Em: A Fan’s Travels in the Land of Umpires (2009), which became a New York Times bestseller, and a memoir, Life Is a Wheel: Love, Death, Etc., and a Bike Ride Across America (2014). A graduate of the University of Michigan with an M.A. in American literature from Columbia, he lives in Manhattan and Orient, N.Y. He is at work on a biography of E.L. Doctorow. Lindsay Whalen began her career as a book editor, and is a graduate of Brooklyn College’s MFA in Fiction, where she was the recipient of a Truman Capote Fellowship and the 2015 Lainoff Short Story Prize. As a Leon Levy fellow, she will work on a biography of the Pulitzer Prize winning poet Mary Oliver, to be published by the Penguin Press. Heather Clark is a scholar and critic, and the author of The Ulster Renaissance: Poetry in Belfast 1962-1972, and The Grief of Influence: Sylvia Plath and Ted Hughes, both published by Oxford University Press. She earned her doctorate in English from Oxford University, and has held fellowships from the National Endowment for the Humanities and the British Library. She is currently a Visiting Scholar at the Oxford Centre for Life-Writing. As a Leon Levy fellow, she will work on Sylvia Plath: The Light of the Mind, which will be published by Knopf. Aidan Levy is the author of Dirty Blvd. : The Life and Music of Lou Reed, published by Chicago Review Press in 2015. His writing has appeared in The New York Times, the Village Voice, JazzTimes, and Blue Note Records Spotlight. He is a doctoral student at Columbia University in the Department of English and Comparative Literature with a subfield in jazz studies. He performs in the Louis Armstrong Jazz Performance program at Columbia and is the baritone saxophonist in the Stan Rubin Orchestra. As a Leon Levy fellow he will work on a biography of the pioneer jazz musician Sonny Rollins. 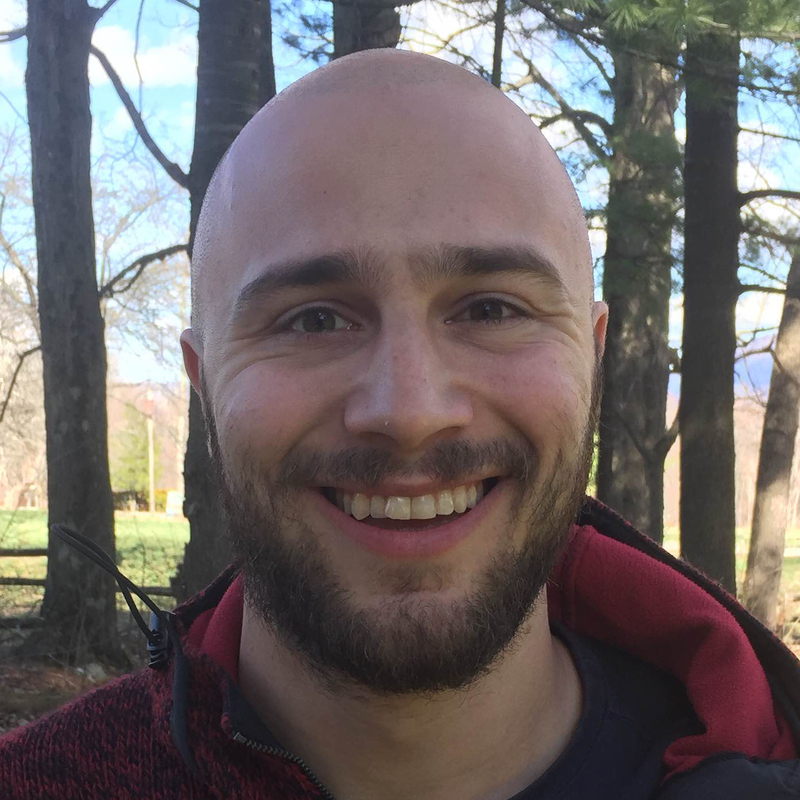 Adam Plunkett has written about poetry for a number of publications, including The New York Times Book Review, the Times Literary Supplement, the Poetry Foundation, Design Observer, The Point, The Nation, n+1, and The New Republic, where he worked as the assistant literary editor. 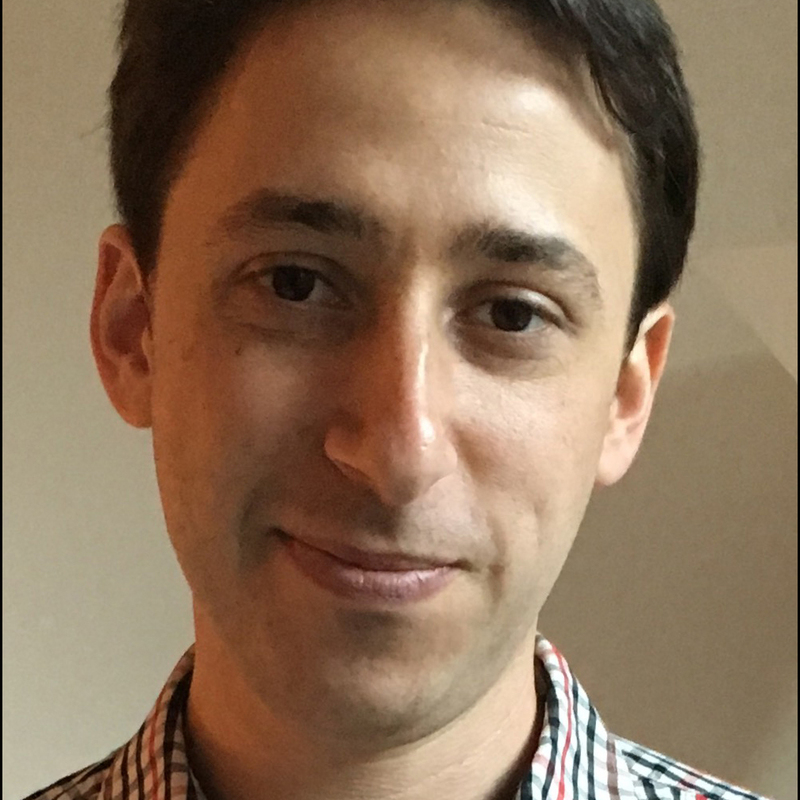 As a Leon Levy fellow, he will work on a critical biography of Robert Frost, which will be published by Farrar, Straus and Giroux. 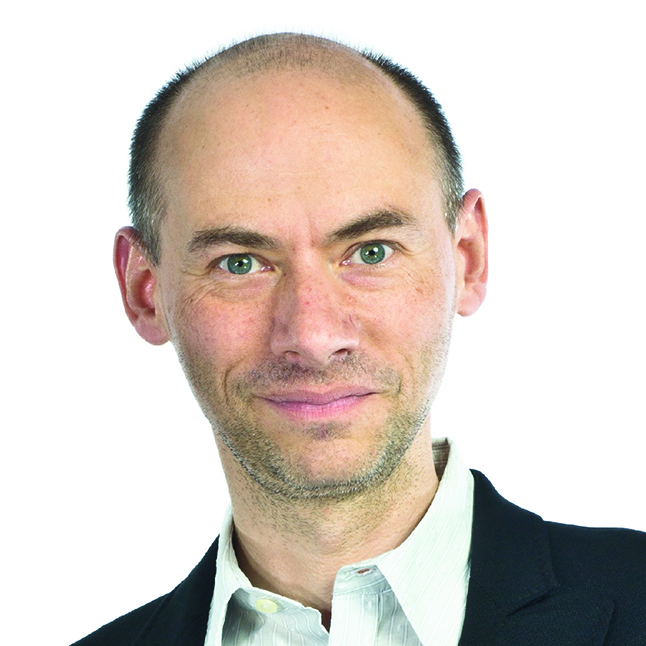 Blake Gopnik is a regular contributor to the New York Times and a frequent guest on Marketplace radio. 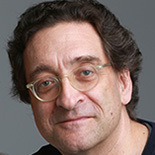 His Daily Pic column goes out to his many Tumblr and Twitter followers and ArtnetNews.com, where he is Critic at Large. Gopnik earned a PhD in art history from Oxford, and in Canada he was the editor of Insite, the architecture and design magazine, and art critic at The Globe and Mail. For ten years he was chief art critic of The Washington Post, before becoming art and design critic for Newsweek and its Daily Beast website. As a Leon Levy fellow he worked on Andy Warhol: A Life as Art, the first comprehensive biography of the Pop artist, which will be published by HarperCollins/Ecco. [´At Our Doorsteps.´ The Yugoslav War in the German-speaking Literature], she explored how German speaking authors grappled with the secession wars in the former Yugoslavia. 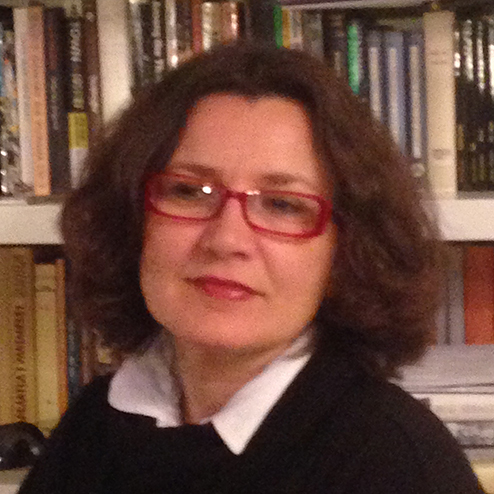 Her interests include recent Central and South European literature, literary encounters between the German-speaking and South Slavic cultures, and Bosnian/Croatian/Serbian exile and war literature. As a Leon Levy fellow she worked on a biography of Zija Dizdarević, the Bosnian interwar writer, whose short stories she is translating into English. Eric K. Washington is an independent historian and the author of Manhattanville: Old Heart of West Harlem, which prompted an exhibition at City College, CUNY, where he has taught in the Adult and Continuing Education program. Washington received the Municipal Art Society’s 2010 MASterworks Award for his interpretive signage in West Harlem Piers Park, and he is a fellow in Columbia University’s Community Scholars Program. His articles, talks and tours on Upper Manhattan have appeared in numerous print, online, podium and curbside forums, and he is featured prominently in Phillip Lopate’s Waterfront: A Journey Around Manhattan, and Jonathan R. Wynn’s The Tour Guide: Walking and Talking New York. As a Leon Levy fellow he worked on a biography of James H. Williams, the former chief porter or “Red Cap” of Grand Central Terminal, which will be published by Liveright / W.W. Norton & Company. 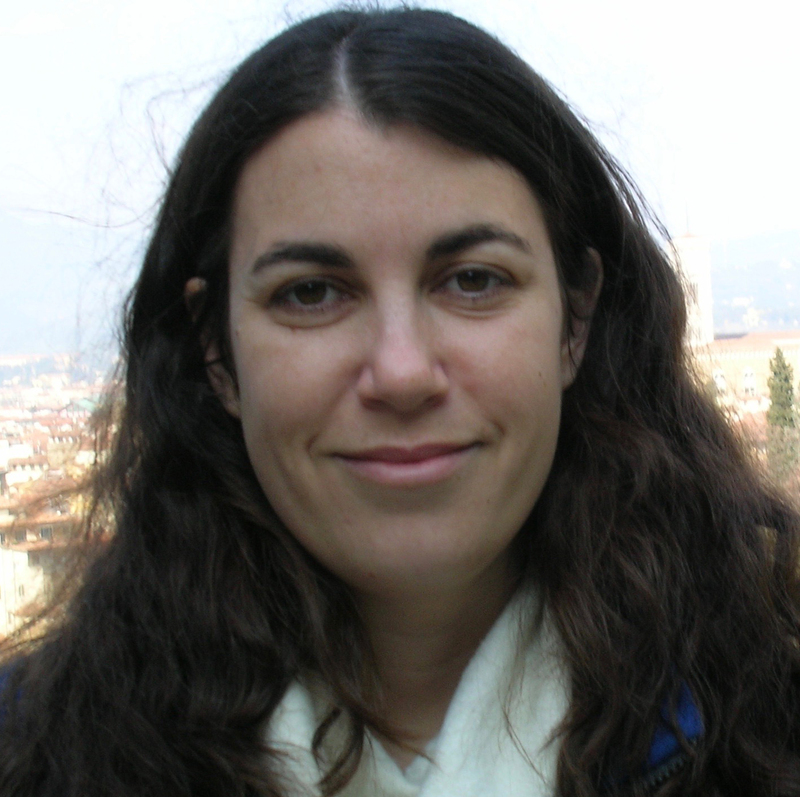 Esther Allen is Associate Professor of Modern Languages at Baruch College, CUNY, where her research focuses on translation, 19th and 20th century Latin American and French literature, and issues in anglophone globalization. She has been a fellow of the Cullman Center for Scholars and Writers at the New York Public Library, a National Endowment for the Arts Translation Fellow, and she is co-founder of the PEN/Heim Translation Fund and the PEN World Voices festival. She is co-editor of In Translation: Translators on their Work and What It Means, and she has translated works by Javier Marías, José Manuel Prieto, and many others. As a Leon Levy fellow she worked on a biography of José Martí, the Cuban writer and political activist whose Selected Writings she edited, translated, and annotated for Penguin Classics. Peter Filkins is a poet and translator who teaches writing and literature at Bard College at Simon’s Rock, and translation at Bard’s main campus. He is the author of four books of poetry, What She Knew, After Homer, Augustine’s Vision, and The View We’re Granted, and he has translated the collected poems of Ingeborg Bachmann, Songs in Flight, and her novels The Book of Franza and Requiem for Fanny Goldmann. 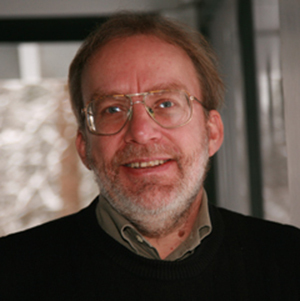 He has been a fellow of the American Academy in Berlin, and he has received awards from the American Literary Translators Association, the Austrian government, and DAAD, Fulbright, Marbach, and other fellowships. His work has appeared in The New Republic, The American Scholar, The Paris Review, The New York Times Book Review, and elsewhere. As a Leon Levy fellow, he worked on a biography of H.G. Adler, whose Holocaust novels The Journey, Panorama, and The Wall he has translated, all published by Random House. His biography of Adler will be published by Oxford University Press. Ruth Franklin is a book critic and contributing editor at The New Republic. 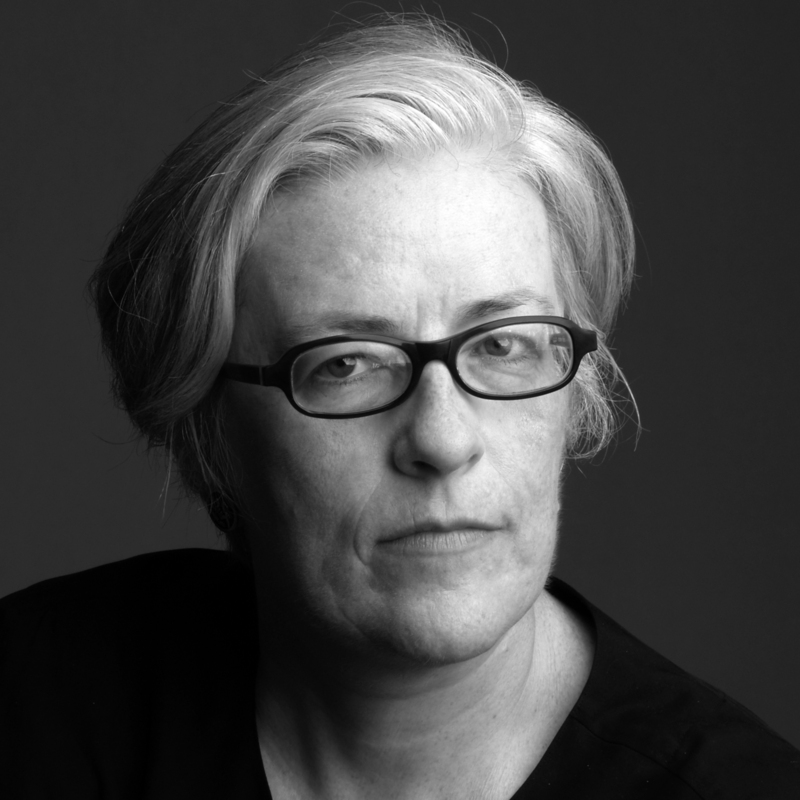 She has written for many publications, including The New Yorker, The New York Review of Books, The New York Times Magazine, Bookforum, Granta, and Salmagundi, to which she contributes a regular film column. Her first book, A Thousand Darknesses: Lies and Truth in Holocaust Fiction, was a finalist for the 2012 Sami Rohr Prize in Jewish Literature. She has been a fellow at the Cullman Center for Scholars and Writers at the New York Public Library, and received a Guggenheim fellowship in biography. As a Leon Levy fellow, she worked on a biography of the American writer Shirley Jackson, Shirley Jackson: A Rather Haunted Life, published in September 2016 by Liveright / W.W. Norton & Company. James Romm is the James H. Ottaway Jr. Professor of Classics at Bard College, specializing in ancient Greek and Roman history. His essays and reviews have appeared in The Wall Street Journal, London Review of Books, and elsewhere. He has received fellowships from the Guggenheim Foundation, the National Endowment for the Humanities, and the Cullman Center for Scholars and Writers at the New York Public Library. He edited the Landmark edition of Arrian’s Campaigns of Alexander, and he is the author of The Edges of the Earth in Ancient Thought, Herodotus, Ghost on the Throne: The Death of Alexander the Great and the War for Crown and Empire, and Dying Every Day: Seneca at the Court of Nero. As a Leon Levy fellow he worked on a biography of Giovanni Pico della Mirandola, the Italian Renaissance philosopher. 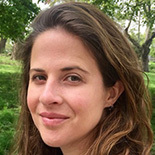 Alexandra Chasin is Assistant Professor of Writing at Eugene Lang College, The New School, having earned a PhD in Modern Thought and Literature at Stanford and an MFA at Vermont College. She is the author of a nonfiction work, Selling Out: The Gay and Lesbian Movement Goes to Market, as well as two books of fiction: a collection of short innovative fictions entitled Kissed By, and Brief, an ‘app’ novella for the iPad. Chasin is a past recipient of a Whiting Dissertation Fellowship, a Bunting Institute Fellowship, and a grant from the New York Foundation for the Arts. As a Leon Levy fellow she worked on a biography of Harry J. Anslinger, the first commissioner of the Federal Bureau of Narcotics. Her book Assassin of Youth: A Kaleidoscopic History of Harry J. Anslinger’s War on Drugs was published in October 2016 by the University of Chicago Press. 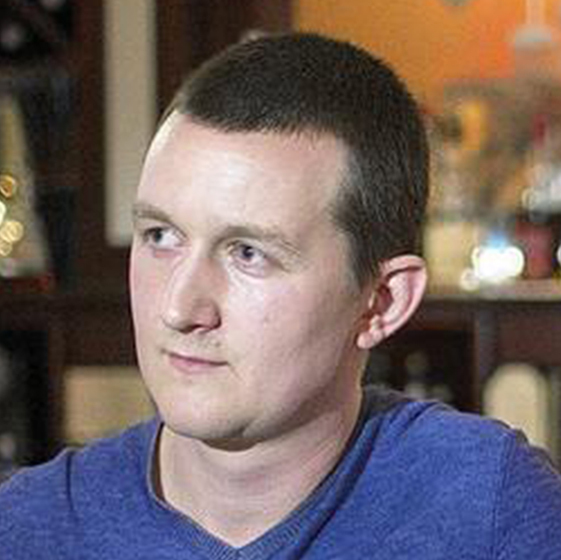 Andrew Meier is Assistant Professor of Writing at Eugene Lang College, The New School. He is the author of Black Earth: A Journey Through Russia After the Fall, and The Lost Spy: An American in Stalin’s Secret Service, both published by Norton and named books of the year by The Washington Post, The Los Angeles Times, and NPR. He has reported on Russia, Central Asia, and the Caucasus for two decades, including as Moscow correspondent for Time, and is a contributor to The New York Times Magazine. Meier has received fellowships from the NEH, the Woodrow Wilson International Center for Scholars, and the Alicia Patterson Foundation, and he was the Mrs. Giles Whiting Foundation Fellow at the Cullman Center at the New York Public Library. As a Leon Levy fellow he worked on The House of Morgenthau: An American Family. 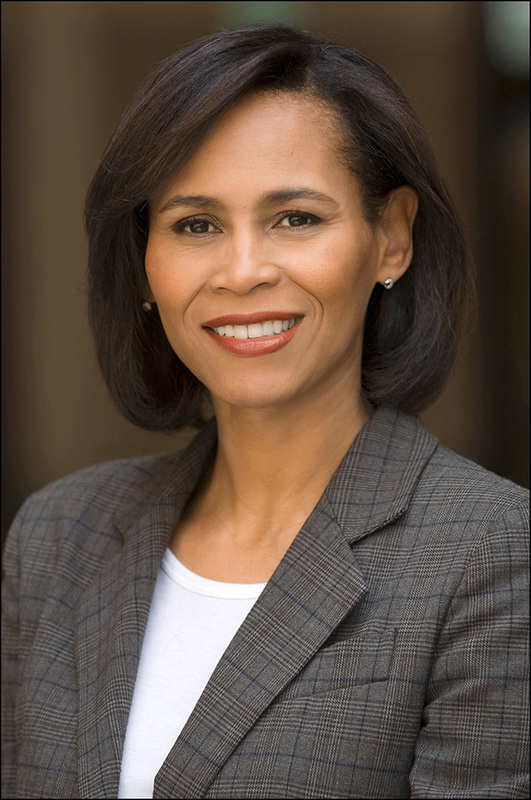 Pamela Newkirk is Professor of Journalism at New York University and the author of Within the Veil: Black Journalists, White Media, which received the National Press Club Award for Media Criticism. She is the editor of A Love No Less: More Than Two Centuries of African American Love Letters, and Letters from Black America. 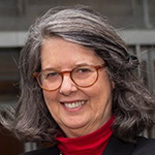 Newkirk has worked as a daily journalist at four different news organizations, including New York Newsday, where in 1990 she was among the reporting team awarded a Pulitzer Prize for spot news. Her primary areas of interest are race in the news media and African American art and culture. As a Leon Levy fellow she worked on a biography of Ota Benga, the Congolese man exhibited at the Bronx Zoo. Her book Spectacle: The Astonishing Life of Ota Benga was published by Amistad / HarperCollins in July 2015. Justin Spring, a writer on 20th century American art and culture, is the author of two interdisciplinary biographies, Fairfield Porter: A Life in Art, and Secret Historian: The Life and Times of Samuel Steward, Professor, Tattoo Artist and Sexual Renegade. Both biographies examine the lives of artists whose work combined the practice of visual art with literature, poetry, criticism, and social and political activism. Secret Historian was a National Book Award Finalist and the recipient of many other prizes. In addition to his work as a biographer, Spring is an award-winning curator who has published many monographs and museum catalogues, most recently Andy Warhol: Fame and Misfortune. As a Leon Levy fellow he worked on a biography of the Chilean surrealist painter Roberto Matta. Langdon Hammer, Professor of English and American Studies at Yale University, earned his BA and PhD from Yale. A former Guggenheim fellow, he is the author of Hart Crane and Allen Tate: Janus-Faced Modernism, and editor of O My Land, My Friends: The Selected Letters of Hart Crane, the Library of America’s Hart Crane: Complete Poems and Selected Letters, and May Swenson: Collected Poems. His reviews of new poetry and literary criticism have appeared in The New York Times Book Review, Raritan, andThe Yale Review, among other magazines, and he is poetry editor of The American Scholar. As a Leon Levy fellow he completed work on his biography James Merrill: Life and Art, published by Knopf in April 2015. 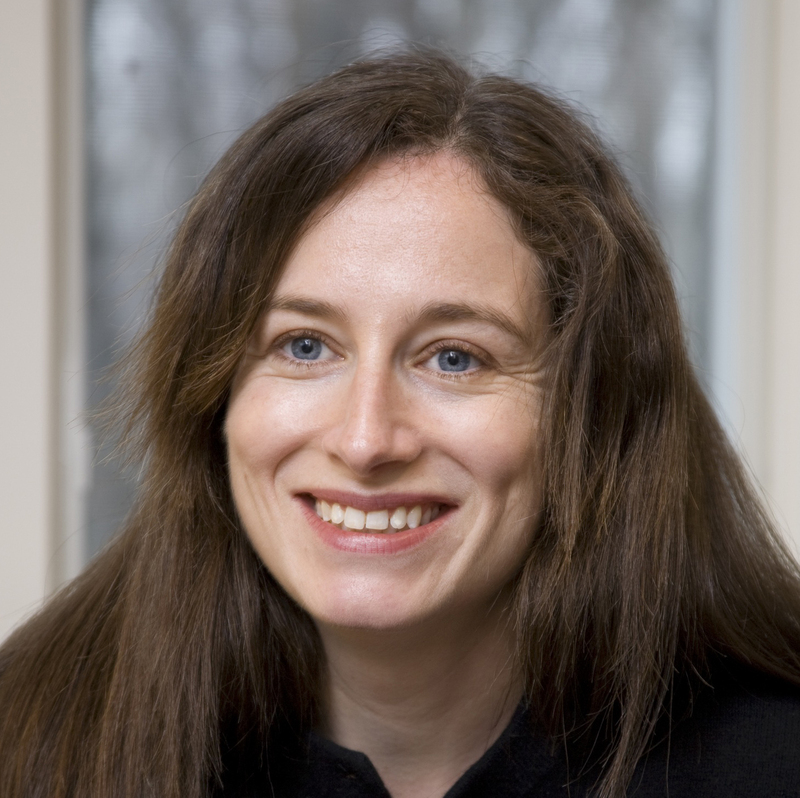 Siobhan Roberts is a Toronto journalist and author whose work focuses on mathematics and science. Her first book, King of Infinite Space: Donald Coxeter, The Man Who Saved Geometry, won the Mathematical Association of America’s 2009 Euler Prize for expanding the public’s view of mathematics. She wrote and produced a documentary, The Man Who Saved Geometry, which aired on TVOntario’s The View from Here. Her second book, Wind Wizard: Alan Davenport and the Art of Wind Engineering, will be published by Princeton, and she is currently a visitor at the Institute for Advanced Study. She has written for The Globe and Mail, The Walrus, Canadian Geographic, The Mathematical Intelligencer, Leonardo, The New York Times, Smithsonian, and other publications. As a Leon Levy fellow she worked on her biography of the mathematician John Horton Conway, Genius at Play, published by Bloomsbury in July 2015. Damion Searls is the author of Everything You Say Is True, a travelogue, and What We Were Doing and Where We Were Going, a collection of stories. He has written for Harper’s, The Believer, n+1, The Paris Review, Bookforum, Brick, and others, and is the editor of Thoreau’s The Journal: 1837-1861. He is an award-winning translator from German, French, Dutch, and Norwegian, including books by Proust, Rilke, Ingeborg Bachmann, Hans Keilson, and Nescio, as well as biographies of Anne Frank’s family and of Martin Kippenberger. His forthcoming translations include a collection of stories by Robert Walser, the last novel by Christa Wolf, and a new translation of Hermann Hesse’s Demian. As a Leon Levy fellow he worked on a biography of the Swiss psychologist Hermann Rorschach, The Inkblots: Hermann Rorschach, His Iconic Test, and the Power of Seeing, published by Crown in February 2017. Adam Begley, for many years the books editor of The New York Observer, is the author, with Ed Sorel, of Certitude: A Profusely Illustrated Guide to Blockheads and Bullheads, Past and Present; and with Laura Miller he edited The Salon.com Reader’s Guide to Contemporary Authors. In the 1990s he was a frequent contributor to The New York Times Magazine; Mirabella, where he wrote a monthly book column; and Lingua Franca, where he was a contributing editor. He is previously a Guggenheim Fellow, and as a Leon Levy fellow he worked the first biography of John Updike, the prolific and driven novelist, critic, story writer and poet who had but one cheer for literary biography. Updike was published by HarperCollins in 2014. Madison Smartt Bell is the author of some twenty books, including All Souls’ Rising, Devil’s Dream, Toussaint L’ouverture: A Biography, and (most recently) The Color of Night. He is a Professor of English at Goucher College and co-founder of Goucher’s undergraduate creative writing program. In 2008 he was a recipient of a Strauss Living from the American Academy of Arts and Letters. As a Leon Levy fellow he worked on the first English-language biography of the Haitian revolutionary Jean Jacques Dessalines. Elizabeth Kendall is the author of two cultural histories, Where She Danced, the Birth of American Art Dance, and The Runaway Bride: Hollywood Romantic Comedy of the 1930s; and two memoirs, American Daughter and Autobiography of a Wardrobe. She is a professor at The New School’s Eugene Lang College and its Liberal Studies Program, and a contributing editor for Dance Magazine. As a Leon Levy fellow she worked on a dual biography of George Balanchine and the ballerina Lidiia Ivanova, Balanchine and the Lost Muse, published by Oxford in 2013. D.T. Max is a staff writer for The New Yorker. His previous book, The Family That Couldn’t Sleep, was a scientific and cultural study of prion diseases, published in 2006. As a Leon Levy fellow he completed the first biography of David Foster Wallace, Every Love Story Is a Ghost Story, published by Viking in 2012, a New York Times bestseller named by several critics as one of the best books of the year. 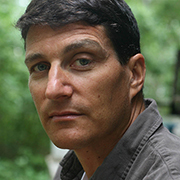 Michael Massing is the author of The Fix, a critical study of the US war on drugs, and Now They Tell Us: The American Press and Iraq. He is a frequent contributor to The New York Review of Books, a contributing editor at the Columbia Journalism Review, and a co-founder of the Committee to Protect Journalists. In 1992, he was named a MacArthur Fellow. While at the Leon Levy Center, he worked on his biography of Luther and Erasmus, to be published by HarperCollins. Claudia Roth Pierpont is a staff writer for The New Yorker, where she has written some three dozen essays ranging in subject from Nietzsche to Mae West to contemporary Arabic fiction. A collection of her essays on women writers, Passionate Minds: Women Rewriting the World, was nominated for a National Book Critics Circle Award. At the Leon Levy Center, she worked on a cultural history of twentieth-century New York in the form of juxtaposed biographies, considering six individuals and four partnerships – including Alfred Barr at the Museum of Modern Art, George Balanchine and Lincoln Kirstein at New York City Ballet, and W. H. Auden – whose overlapping ideals, both moral and aesthetic, helped to make the city the cultural center of the world. Mitchell Cohen is professor of political science at Baruch College and the Graduate Center of CUNY. He was co-editor of Dissent Magazine from 1991-2009 and serves now on its editorial board and that of Jewish Social Studies. While at the Leon Levy Center he worked on writing a political biography of Richard Wagner, especially examining the controversial composer in his times and the roles of anarchism, nationalism and anti-Semitism in his operas. Professor Cohen’s past books include The Wager of Lucien Goldmann, Zion and State, and, as co-editor, Princeton Readings in Political Thought. His articles have appeared in The Times Literary Supplement, The New York Times Book Review, Common Knowledge, and Musik und Asthetik. 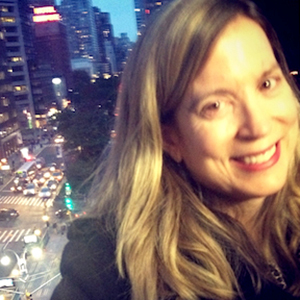 Mary Lisa Gavenas was a columnist at ELLE and served as senior editor at Glamour, In Style, and Mirabella; she writes for the academic and popular press. Following publication of Color Stories: Behind the Scenes in America’s Billion-Dollar Beauty Industry, she became a consultant on the beauty industry. As a Leon Levy fellow she worked on a biography of Mary Kay Ash, which had its genesis in the Mary Kay Ash entry she wrote for the American National Biography encyclopedia published by Oxford University Press. 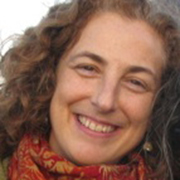 Wendy Lesser is the founding editor of The Threepenny Review and is the author of eight books, including one novel, The Pagoda in the Garden, and seven works of nonfiction, the most recent of which is Room for Doubt. Besides writing for Threepenny about dance, music, theater, and other cultural subjects, she occasionally reviews books for Bookforum, The New York Times Book Review, and other publications. She has received fellowships and awards from the American Academy of Arts & Letters, the Guggenheim Foundation, the Cullman Center for Scholars and Writers, the American Academy in Berlin, the Dedalus Foundation, and many other institutions and organizations. As a Leon Levy fellow she worked on Music for Silenced Voices, a biography of Dmitri Shostakovich focusing on his 15 string quartets, published by Yale in 2011. Vanda Krefft’s articles on the entertainment industry and social issues have been published in magazines and newspapers, including ELLE, Redbook, Woman’s Day, and the Los Angeles Times. She is currently at work on her first book, a biography of Twentieth Century Fox founder William Fox, to be published by HarperCollins. 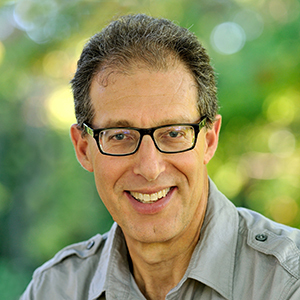 Krefft has received a Helm Fellowship from Indiana University’s Lilly Library and a grant from the Ludwig Vogelstein Foundation. Her project explores the life and times of the forgotten movie mogul whose contributions to the art, technology, and business of film laid the foundation for today’s global popular culture. 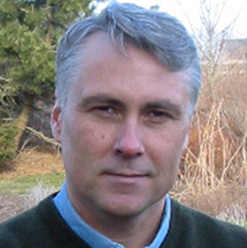 John Matteson is Distinguished Professor of English at John Jay College of Criminal Justice, CUNY. His scholarship in 19th-century American literature includes articles published in Leviathan, Streams of William James, and The New England Quarterly. His first book, Eden’s Outcasts: The Story of Louisa May Alcott and Her Father, was awarded the 2008 Pulitzer Prize in Biography. During his residency, Matteson worked on The Lives of Margaret Fuller, which was published by Norton in 2012, and received the Ann M. Sperber Biography Award. 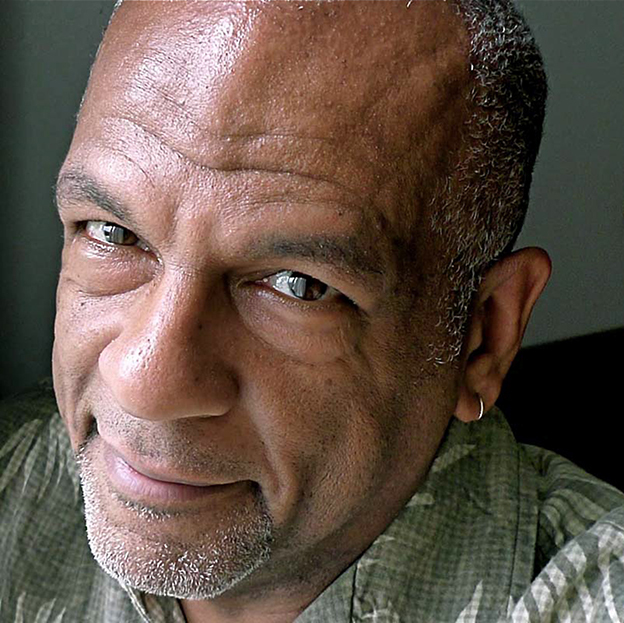 Thulani Davis is a journalist, playwright, and author of several books. Her most recent book, My Confederate Kinfolk, explores her black and white ancestors’ lives around the time of the Civil War. Her other works include two novels, 1959 and Maker of Saints, several plays and the scripts for the films Paid in Full and Maker of Saints. She has also written several award-winning PBS documentaries. She is a past recipient of a Lila Acheson Wallace-Reader’s Digest Writers Award, a PEW Foundation National Theatre Artist Residency, and a Charles H. Revson Fellowship. She is a Grammy winner and is a 2007-2008 NYU Gallatin Newington-Cropsey Foundation Fellow. Davis was educated at Barnard College, Columbia University, and New York University and taught at the NYU Tisch School of the Arts. Thulani Davis has begun a biography of four blues queens: Ma Rainey, Ethel Waters, Alberta Hunter and Bessie Smith. Mary Anne Weaver, author of Pakistan: In the Shadow of Jihad and Afghanistan and A Portrait of Egypt: A Journey Through the World of Militant Islam, was at the Woodrow Wilson International Center for Scholars in 2007. She was the Edward R. Murrow Press Fellow at the Council on Foreign Relations and a Guggenheim Fellow for 2004-2005. A longtime foreign correspondent for The New Yorker magazine, she has also published in The Atlantic Monthly and The New York Times Magazine. A specialist in South Asian and Middle Eastern affairs, and political and militant Islam, she has reported from some thirty countries over the last twenty-five years, based in New Delhi, Cairo, Athens, and Bangkok. The Strange Journey of Ziad Jarrah: The Story of a Terrorist is the biography on the most improbable of the September 11th pilots. It gleans lessons on the way in which the profile of a terrorist has changed. Molly Peacock has published six volumes of poetry, including The Second Blush and Cornucopia: New and Selected Poems, and a memoir, Paradise Piece by Piece, and is the writer/actor of a one-woman show in poems, “The Shimmering Verge.” Her poems are widely anthologized, appearing in The Best of the Best American Poetry and The Oxford Book of American Poetry. She edited The Private I: Privacy in a Public World, and her essay about Mary Granville Delany, “Passion Flowers in Winter,” appears in The Best American Essays 2007. She teaches in the M.F.A. program in Writing at Spalding University. As a Leon Levy fellow, Peacock worked on an impressionistic biography of the late-life artistic coming-of-age of Mrs. Mary Granville Delany, the 18th-century cut-paper botanical artist, published by Bloomsbury in 2010 as The Paper Garden: An Artist Begins Her Life’s Work at 72. James Davis is an Associate Professor of English at Brooklyn College, CUNY, where he also teaches in the American Studies program. He received his B.A. from Oberlin College and his M.A. and Ph.D. from Indiana University. His publications include essays on Henry James and Ida B. Wells and a book about the intersection of race and emergent U.S. consumer culture entitled Commerce in Color (University of Michigan Press, 2007). He is on the executive board of the Brooklyn College Center for Teaching and a member of the editorial collective of the journal Radical Teacher. As a Leon Levy fellow he worked on a meditation on the life and work of Eric Walrond, a fiction writer and journalist born in Guyana and raised in Barbados and Panama, who rose to prominence during the Harlem Renaissance before moving to England. His book Eric Walrond: A Life in the Harlem Renaissance and the Transatlantic Caribbean was published by Columbia University Press in 2015.